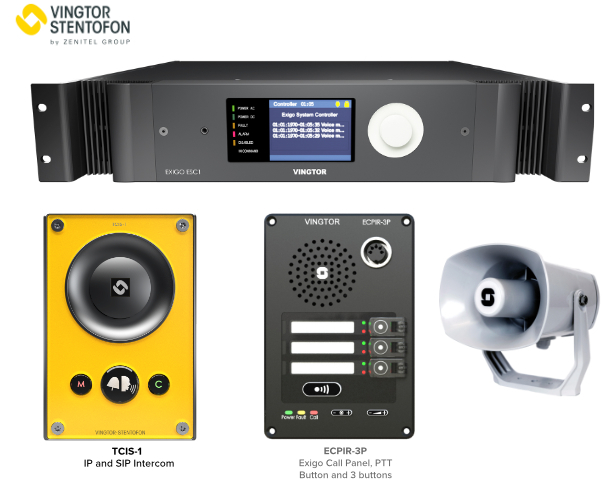 The VINGTOR EXIGO IP Public Address System (IP PA) brings all the benefits of networked audio into one package. EXIGO IP PA is certified to the most stringent safety standards for General Alarm (GA) and Voice Evacuation purposes. EXIGO leverages over 10 years of experience in critical communication over IP.